Like the Rangers, the Pack will carry eight defensemen. There is a lot of developing to do this year in Hartford, but that looks like a team that should finally get out of the cellar. It’s been a few tough years in Hartford. This year could be different. "Hartford Wolf Pack finalize roster", 5 out of 5 based on 1 ratings. Team looks to have 4 or 5 guys who may see time with the big club this year. 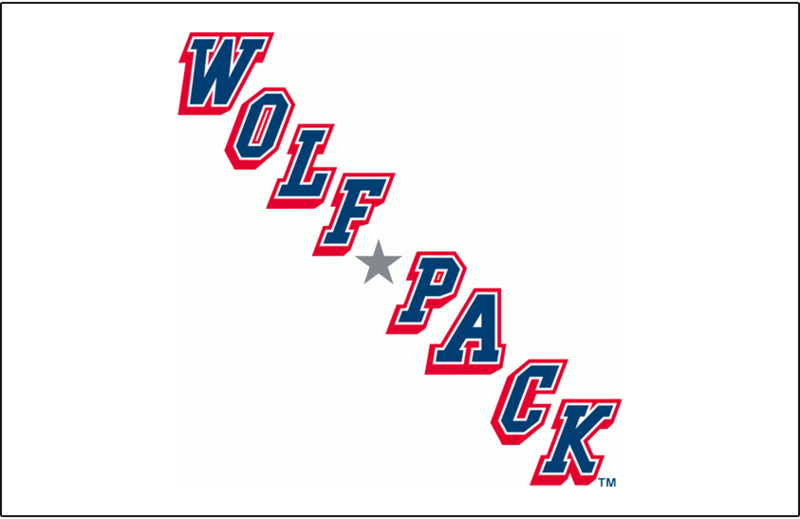 If we are as deep in talent that people believe, we should (Wolfpack) end up 10 or so games above .500. It will be a process and take time, but by game 20 (just like with the big club), the Pack need to start rocking. I think that’s very debatable with 4 or 5 names coming up. If you rule out any major injury or slump that would warrant a AHL demotion, than next to nobody would get the call up. Hypothetical: Vlad, Vesey and Spooner are all playing amazingly and really buy into Quinn’s system to help the team be quite competitive this year. JG might look to keep 2 of those names. That means no experiments will be happening with AHL names replacing them during the deadline, at best JG will flip them in the summer if the team is in playoff contention. I think Beleskey will be back in 2 weeks that’s already 2 extra forwards on standby and imo he’s going to warrant a full time roster spot. What happens if Chytil and Howden play their current roles pretty well? Than one of Zib or Hayes goes down during that surge? It becomes a Holland vs Andersson for 4c on the temporarily time frame. I have a feeling that JG won’t bring up any growing type pains due to a certain draft pedigree. They rave how Hajek should have made the team so I’ll be giving him the benefit of the doubt as a try out once they figure out the defensive jam. That could also take a long time to see if all the defense plays lights out. They will have someone like ADA ready to get a chance to solidify his role for the team. Ranger shuttle between Hartford and MSG could be a very busy shuttle. While undoubtedly true it doesn’t change the fact that he was beaten out by Howden who is almost the same age. Howden was better than Lias and is more versatile (PK) so Lias was demoted. Howden is the better player also because we didnt draft him. Interesting enough JG rather take some fans heads for a spin and pull out the 6-8 minutes wouldn’t be worth it against NHL talent for Lias. Than meanwhile we all know that Howden will receive 10-11:30 minutes with PK and maybe some PP time while having a chance to move up in the ranks. I thought that using Gropp was a upgrade over Ronning for my wise a** comment about Lias ” promotion “. I was obviously messing around there with all of that and his weekend bus rides. I have been saying that Howden was going to make the team over Lias since mid June. Idk if you’re trying to troll me? Gropps time May be running out with the Rangers. He needs to earn a roster spot in the NHL soon. It will be interesting to see how the defense shakes out as the Pack have eight left defensemen and zero right defensemen. A point that is taking too lightly IMO. I agree Raymond.